Ducks and Roos and Snakes – Oh My! 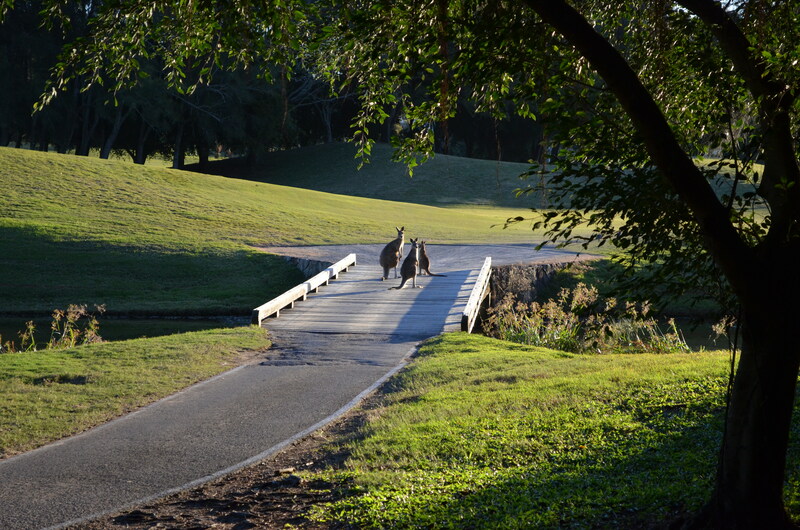 When we told our friends and family that we were moving to Australia, we heard it all. We were told to watch out for the great white sharks. Someone told us that Australia is home to 8 out of the 10 deadliest snakes in the world. We were warned about the huge poisonous spiders. 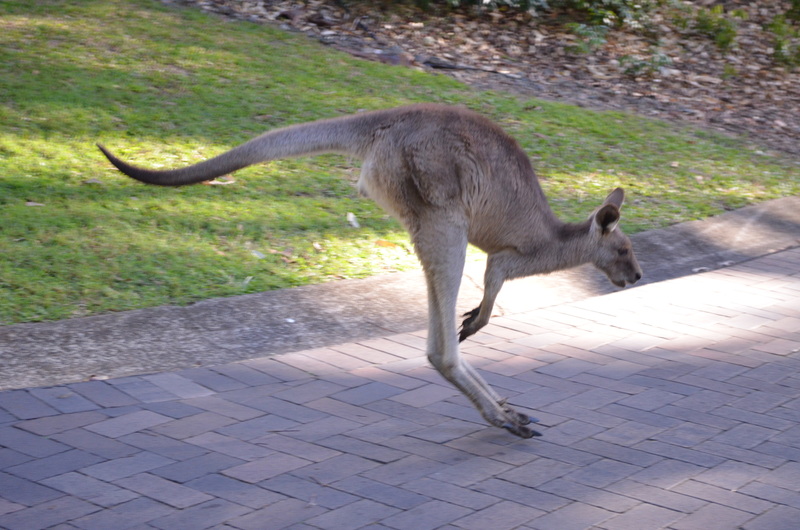 And on the other side of things, others asked for photos of kangaroos and dingoes. Someone (you know who you are) asked if we’d get a pet koala. “No” was the answer to that question. We have seen our share of animals since we arrived. 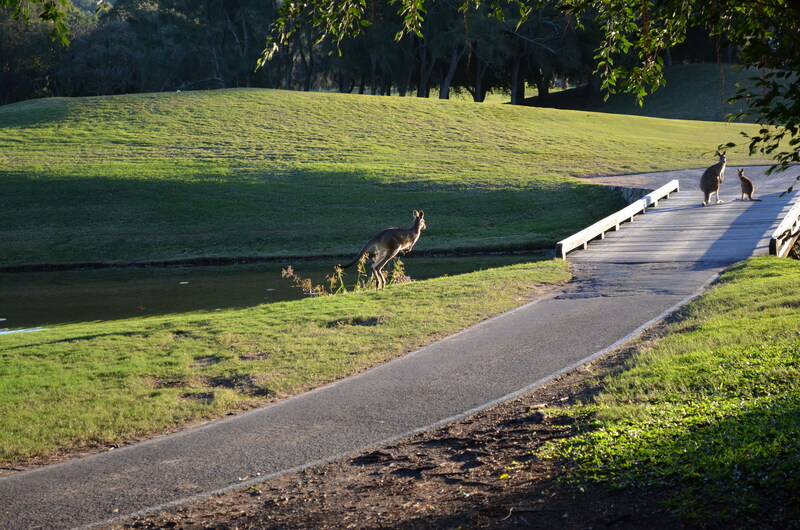 This last weekend at the Sunshine Coast we captured some photos of nature’s creatures to share with you all. *Note: no animals were harmed in the making of this blog post. 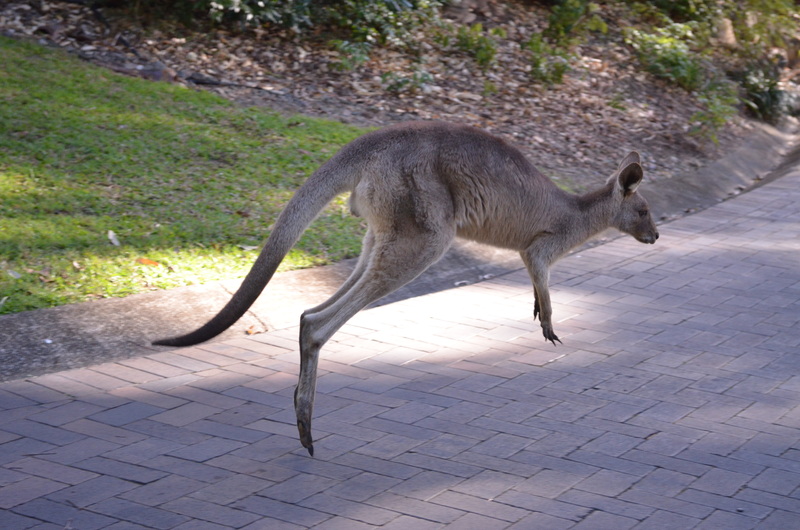 I captured a couple of shots of this kangaroo as he was hopping across the pedestrian path at our stay in Coolum. I mentioned in a previous post that kangaroos were not afraid of us in the least. 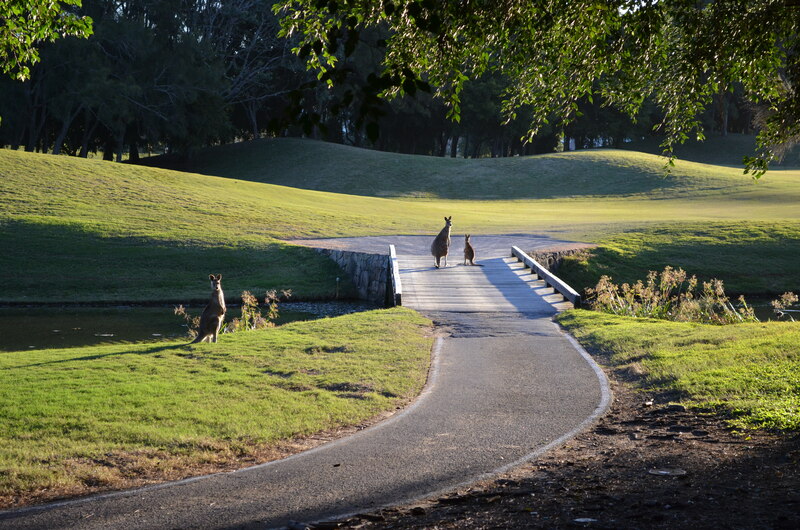 While out for a walk I ran across a kangaroo family. The female (flyer) or male (boomer) was with the little baby (joey) on the bridge but the other adult was hanging a bit behind. And all three of them were staring at me. Now, tell me it was not my imagination. 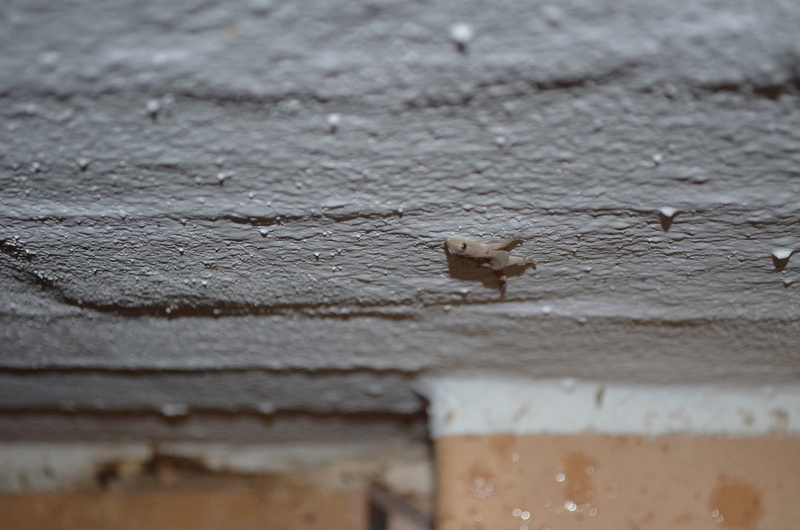 Then all three of them proceeded to give me what I recognized as the death glare….I’ve given it before. So I hurried on my way back to the room to get ready for the night’s events. 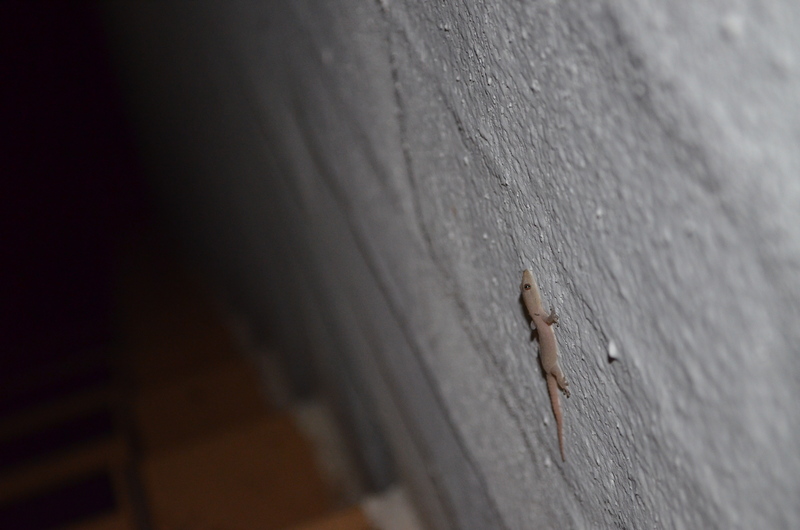 Walking up to our room after that night’s festivities, we spotted this little gecko (?) on the wall of an outdoor stairway. Ryan managed to get a few shots of him before the little guy scurried away. 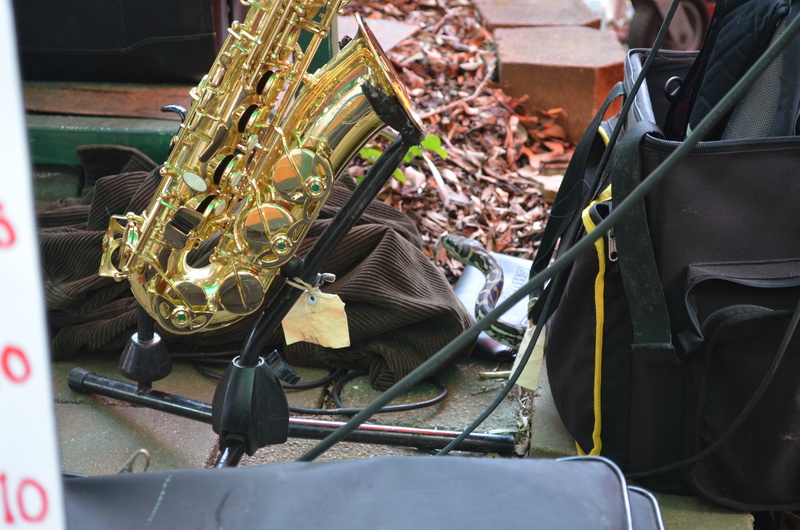 The next day at the Eumundi markets (post to follow) we were enjoying some live music when we saw a crowd gather near the stage. 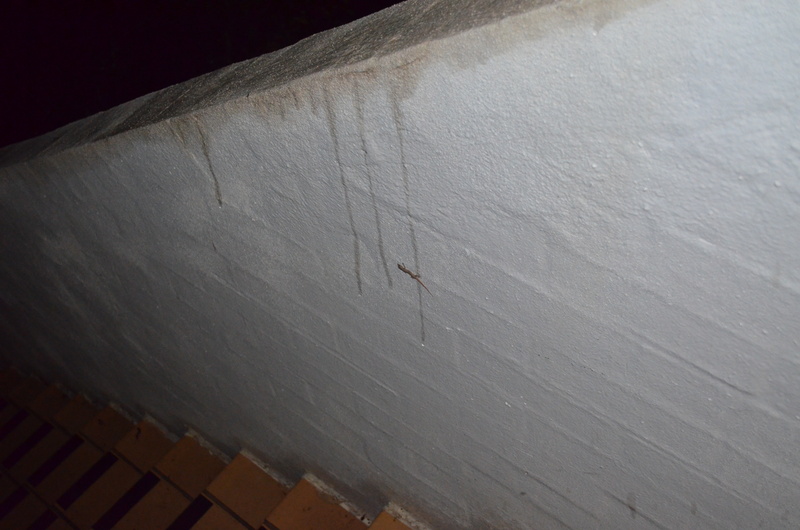 Apparently a snake had also come to enjoy the sounds of the band. Can you find it? 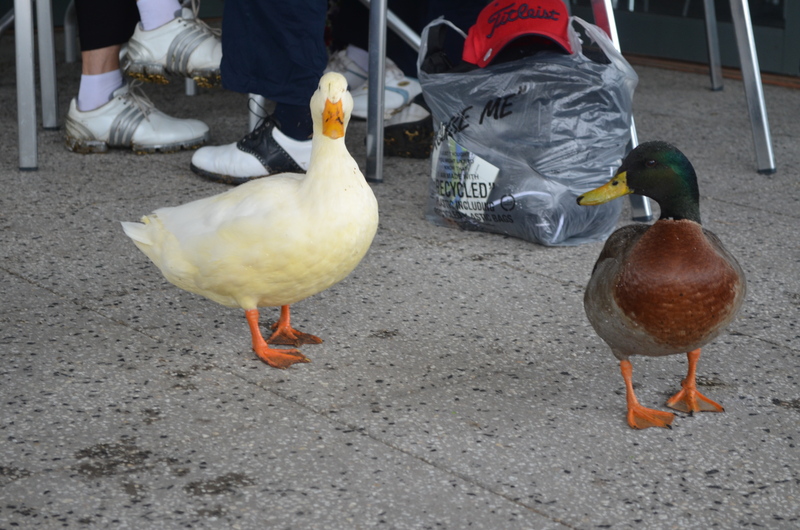 Finally, on our last day as we enjoyed some coffee on the deck of the pro shop at the Hyatt, we had the company of two ducks. 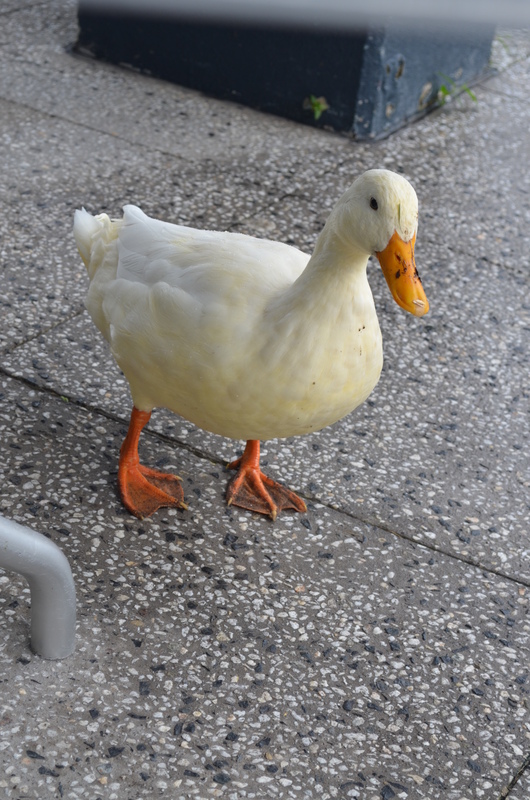 Yes, we’ve seen plenty of ducks but never Australian ducks! Those are entirely different. Still on the must-see list: koala, great white, and emu. Whoa, no can do on the snakes!! I would flip out. Sounds like the Sunshine/Diamond/Bejeweled Coast was lovely and so well-deserved!